Different people have different views... on Patriotism....expression can be quite various. This Winter on the Island, creative minds and hands gathered to make a distinctly significant contribution to those who have served our Country. Quilts of Valor and Under Our Wings were the resources. Contributions and materials came from Island organizations and individuals to make this effort happen. 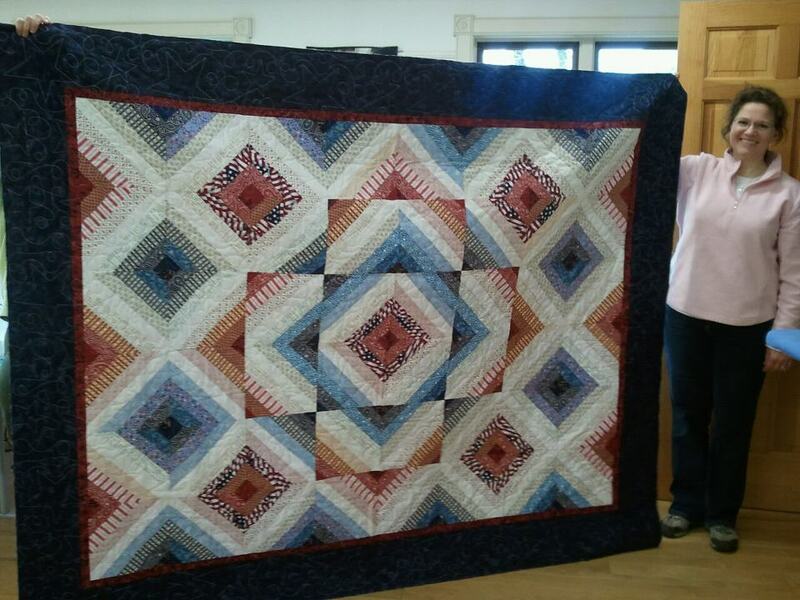 Ellen Graf spearheaded the project as the Quilts of Valor Coordinator. Sievers School provided the location. Most of the quilters worked in teams. A "rookie" with a Quilts of Valor "coach"... countless hours were spent...planning...cutting...sewing...learning... I was fortunate to be able to visit the Sophie Studio at Sievers School as the teams prepared to put finishing touches on their work this Spring. After the March session, the quilt tops had been sent throughout the state to be assembled by volunteers using longarm sewing machines. Binding was the order of the day at this session in May. Ellen demonstrated the process. Everyone chose from the same materials...... it was amazing to see the wide range of designs! 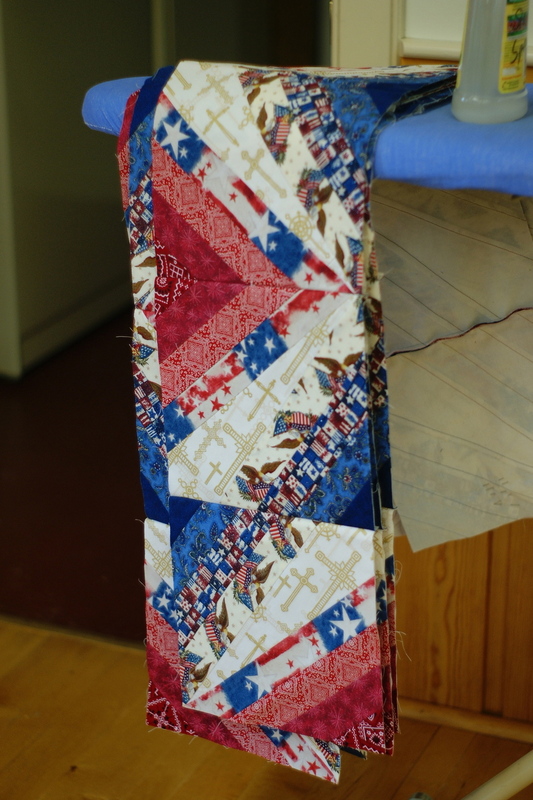 Carolyn Foss has written about the Quilts of Valor Project in the online Sievers Newsletter. For more information, Click here to see the posts for March 12 and May 3rd as well as to see more of the completed quilts! Yes... this Project will continue next year! The goal is to create ten more quilts...adding to the eleven produced this Winter... beautiful! 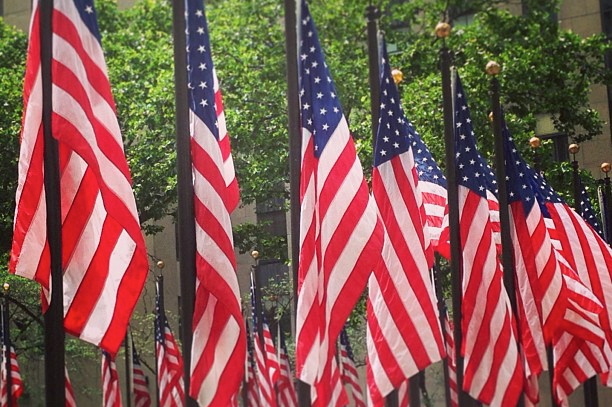 To make a donation to the Island Quilts of Valor Project, contact Ellen directly at 847-2484. •Almost Maine - Island Players Summer Show - July 5, 6, 7 @ the TPAC 7:30 pm Advance tickets are available at the Red Cup and the Rec Center. Rock Island: Saturday July 6 - Friends of Rock Island will hold their Annual Picnic...lots of activities...all are welcome! Laura Sawosko will perform her original music at TPAC on the Green - Tuesday, July 9 @ 7 PM.